......for the 15th Nicholas Best and Barnabas Doyle Family Reunion. It will be held Saturday July 30th 2016 from 11:30 am till ??? at the Doylesburg Ruritan Building located at 21185 Path Valley Road in Doylesburg, Pa.
Come enjoy good food, good friends, and good memories. Quilt was crafted by Carol Sue Mowery and Linda Best. St. Mary's Roman Catholic Church destroyed by fire. 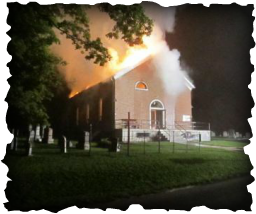 On Sunday September 11, 2011, St. Mary's Roman Catholic Church in Doylesburg, Pa. was destroyed by fire.